LINE 0.0 is a one of a kind collection of designer Wallets created by the nice folks at db clay - a Portland based product design co.
My name is Garett and I’m a Wallet maker from Portland, OR. Thanks for visiting my Kickstarter page and hearing my story. With your contribution I hope to relaunch my company db clay with a new collection of designer Wallets I've titled LINE 0.0 (zero point zero). I have the ideas, the relationships, the next product line designed and the business infrastructure in place -- but I do need help financing production for my next batch of inventory. That's where Kickstarter comes in! See below to preview the new product Line and follow the links to PREORDER your very own unique Wallet from LINE 0.0. Thanks in advance for supporting my project - I love db clay sooooo much. db clay is a universal product design co that I founded in Portland, OR. My primary focus over the years has been making and selling Wallets and my approach has always been to improve my processes and innovate with each new iteration of product. My latest batch is the most minimal to date and although I have been in the Wallet business for more than a decade, LINE 0.0 represents a fresh start for db clay and me. The intent is to create a collection that is uniquely designed, timeless and made of high quality materials (no more Duct Tape!). Wallets have been around seemingly forever, but a db clay Wallet is different than the rest, as they often spark human interaction each time you pull ‘em out. “Hey, where did you get that Wallet?” db clay has been starting conversations like this since 1998. 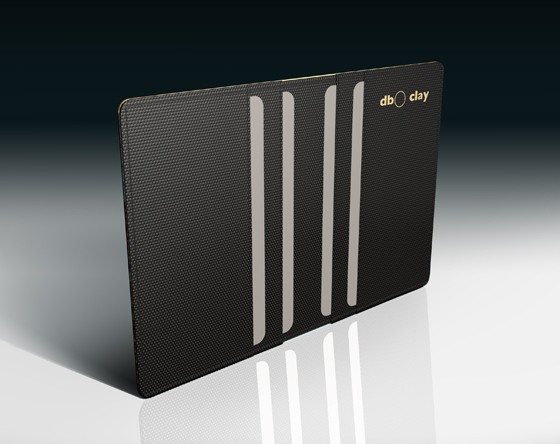 LINE 0.0 is a light, compact, slim and new Wallet body style produced by db clay. I designed this 4-pocket beauty to be as little as possible while still functioning as a Wallet should by carrying your daily essentials: ID, a few cards, cold hard cash and some misc items such as a public transit pass or a cute picture of your puppy. Overall, I was aiming to minimize back-pocket bulk but I also made it small enough to fit in a grab and go clutch or a fancy handbag too. I invented these Wallets for YOU to enjoy, but keep in mind, they also make great gifts for all the great folks in your life. Friends, family, coworkers, significant others, clients, etc. 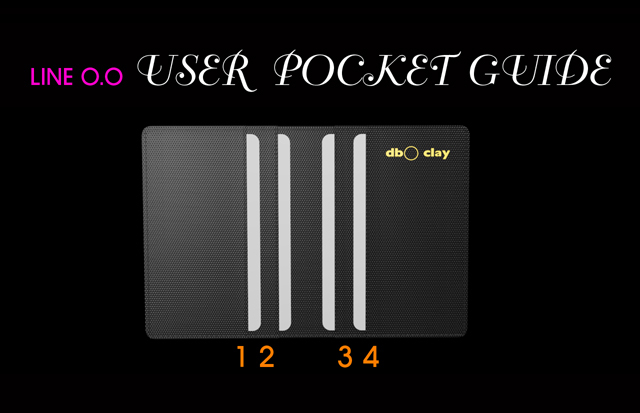 CLICK HERE FOR MORE INFO ON LINE 0.0 USER POCKET GUIDE - DOES IT HOLD CASH, ETC? To begin, LINE 0.0 will come in (5) different exterior designs for you to pick from if you choose to back this project -- see designs previewed below. Once you have made your contribution of at least $35, you’ll be able to select your favorite individual piece of Pocket Art from this set… or scoop up the whole collection for $175 while you’re at it! Disclaimer: to be able to begin production we need to sell at least 500 units of each design in order to meet our manufacturer's minimum requirements… so please help spread the word! I’m excited to get LINE 0.0 produced and db clay up and running again. So here is where I humbly ask for your help!! I have personally handmade about 30,000 Wallets in my life and creating stuff is in my blood. I am dedicated to this project and to you, the community that supports it. 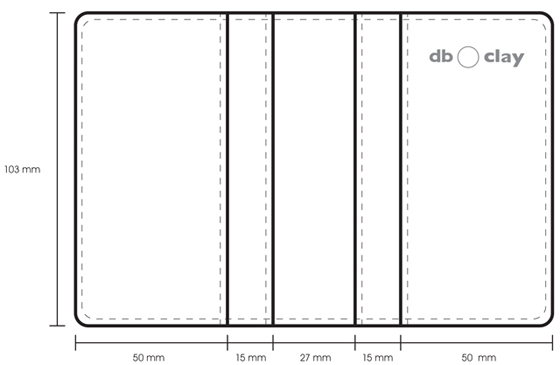 I aim to Kickstart db clay in 2011 with the introduction of LINE 0.0. Following this campaign I plan to keep things simple early on, and then over time, I have plans to incrementally regrow db clay into a much broader line of products, accessories and mobile applications (yes, even software!). With your favor and backing of this project, I'd like nothing more than to continue on this journey. By pledging a minimum of $35 you can join in on the fun along the way! THANKS in advance for your contributions and support! Every dollar matters. If your contribution helps make LINE 0.0 a reality you will be a part of db clay’s unfolding vision to become a global household name for the word “Wallet.” Take part in making fun products and helping a nice old Portland-based brand reach it’s potential on the world stage. Pledge $5, $14, $21, etc! Please note: in order to PREORDER a LINE 0.0 Wallet you must contribute at least $35. 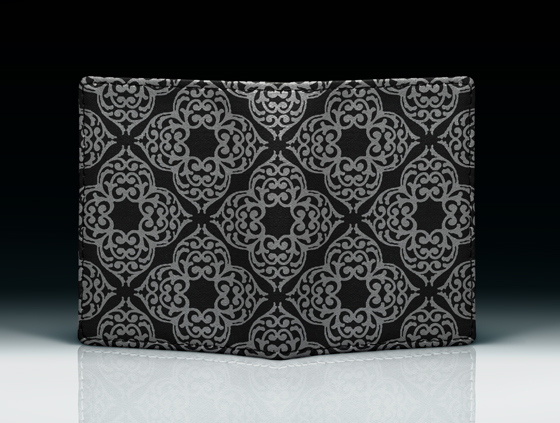 For a $35 pledge you are PREORDING (1) Wallet from our LINE 0.0 collection. Our products in the past have typically retailed for $48-55. This includes 1st class shipping within the USA. Shipping to Canada please add $10 and International orders kindly add $15 to your pledged amount. 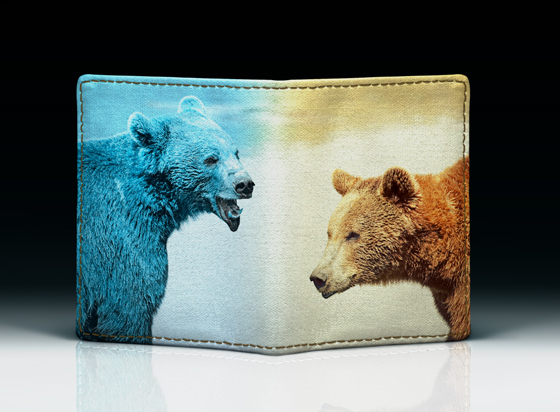 For a $70 pledge you are PREORDING (2) Wallets from our LINE 0.0 collection. Our products in the past have typically retailed for $48-55. This includes 1st class shipping within the USA. Shipping to Canada please add $10 and International orders kindly add $15 to your pledged amount. For a $105 pledge you are PREORDING (3) Wallets from our LINE 0.0 collection. Our products in the past have typically retailed for $48-55. This includes 1st class shipping within the USA. Shipping to Canada please add $10 and International orders kindly add $15 to your pledged amount. For a $140 pledge you are PREORDING (4) Wallets from our LINE 0.0 collection. Our products in the past have typically retailed for $48-55. This includes 1st class shipping within the USA. Shipping to Canada please add $10 and International orders kindly add $15 to your pledged amount. For a $175 pledge you are PREORDING (5) Wallets from our LINE 0.0 collection – PICK UP THE WHOLE SET! Our products in the past have typically retailed for $48-55. This includes 1st class shipping within the USA. Shipping to Canada please add $10 and International orders kindly add $15 to your pledged amount. 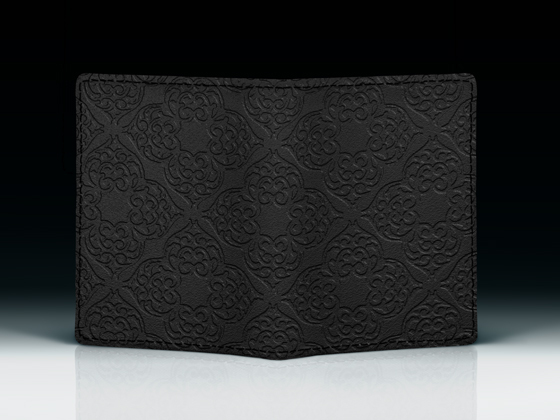 For a $350 pledge you are PREORDING (10) Wallets from our LINE 0.0 collection. Our products in the past have typically retailed for $48-55. This includes 1st class shipping within the USA. Shipping to Canada please add $10 and International orders kindly add $15 to your pledged amount. 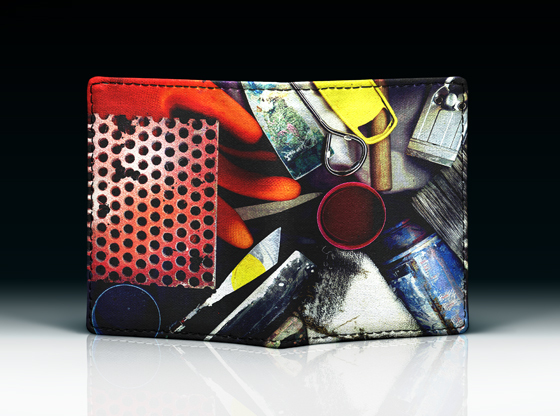 For a $700 pledge you are PREORDING (20) Wallets from our LINE 0.0 collection. Our products in the past have typically retailed for $48-55. This includes 1st class shipping within the USA. Shipping to Canada please add $10 and International orders kindly add $15 to your pledged amount. 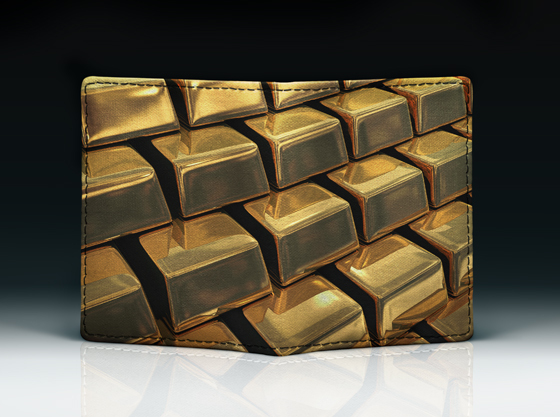 For a $1,400 pledge you are PREORDING (40) Wallets from our LINE 0.0 collection. Our products in the past have typically retailed for $48-55. This includes 1st class shipping within the USA. Shipping to Canada please add $10 and International orders kindly add $15 to your pledged amount. For a $5,000 pledge you will get a complete set of each new line of products we produce over the next few years (i.e. LINE 0.0, LINE 0.1, LINE 0.2, etc) up to $10k in value - double your money. Essentially you’ll get $10,000 worth of db clay products for a contribution of $5,000.